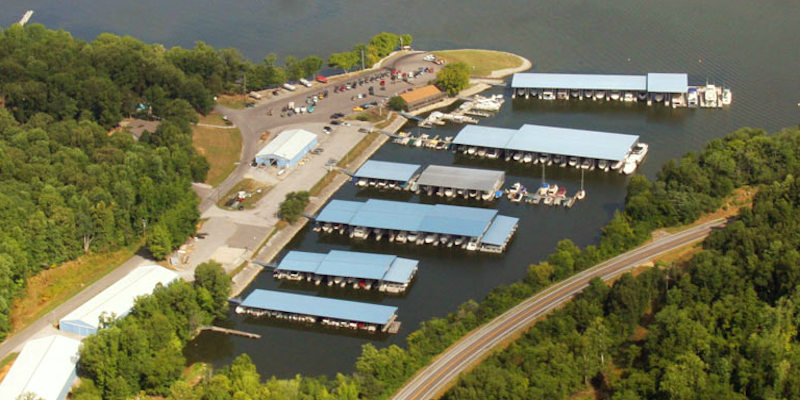 Situated on beautiful Lake Barkley, Eddy Creek Marina Resort offers the perfect get away spot for families and fishermen to enjoy some time away from home. Whether planning a fishing trip or gathering with friends and family for a much needed vacation, guests at Eddy Creek will find all that they need relax and kick back for a few days. From their comfortable accommodations to the private outdoor swimming pool, beach, playground, boat rentals, fishing guide service and delicious waterfront dining, Eddy Creek Marina Resort has it all. Whether one prefers a motel room or cabin, Eddy Creek Marina Resort has accommodations for both. Each motel room offers a clean, comfortable stay, equipped with just about everything visitors will need during their time away from home. All rooms include two queen-sized beds, cable television, wireless internet access and much more. Adjoining rooms are available for larger families or groups. For those seeking a more secluded setting, cabins are situated among the beautiful shoreline shade trees along the Lake. Each cabin comes with a fully equipped kitchen, offering the perfect amenities for fishermen and families alike. These cozy log cabins are some of the region’s most comfortable vacation rentals. A private beach, pool, playground and restaurant are conveniently located on the property just a just a short walk from motel guest rooms and cabins. Campers are always welcome at the resort’s RV park. All sites have plenty of room and are located near the community picnic/observation area and playground. Campers can enjoy an evening as they relax around the fire pit or partake in a pleasant picnic meal on one of the resort’s picnic tables. Bathhouses are located within easy walking distance, and the marina and restaurant are nearby, as well. Eddy Creek Marina Resort is pet friendly. Visit the website for more information. Whether you are staying in the motel, log cabins or RV Park, guests can take a short stroll over to Echo Charlie's Bayside Restaurant. The restaurant has become a favorite among those staying at the resort, as well as transient boaters and locals. Open daily for breakfast, lunch and dinner, Echo Charlie's is the place for great food, friends and scenic views. Visit the website for a full menu and catering options. The family friendly atmosphere at the marina keeps boaters and fishermen returning year after year. Boasting state of the art facilities for mooring and storage, Eddy Creek Resort is the place for those who enjoy spending their leisure time out on the lake. The staff makes it easy for boaters, both guests of the resort and those transient boaters who use the marina. The marina includes a fueling station and covered dry storage that saves boaters the hassle of hauling one’s boat back and forth each time they return. Guests can also contact the resort by phone or VHF radio for directions and docking instructions. Boat safety and storage are top priorities at this marina. All docks are less than 10 years old and receive continuous inspections and repairs throughout the year. They also have a fully certified Mercury/Mercruiser service department, staffed seven days a week during prime season. Certified diesel repair is available on most manufactures. For those looking to buy a boat of their own, the resort provides friendly sales service through Bay Side Yacht Sales. The experienced sales team will strive to find the perfect vessel for each and every customer. Visit the website for inventory and pricing. If you don’t own a boat of your own but hear the waters calling, Eddy Creek Resort provides an excellent choice of boat rentals. Offering Jon, Bass, Pontoon boats and kayaks, guests can do some serious fishing or simply spend a leisurely day on the water. 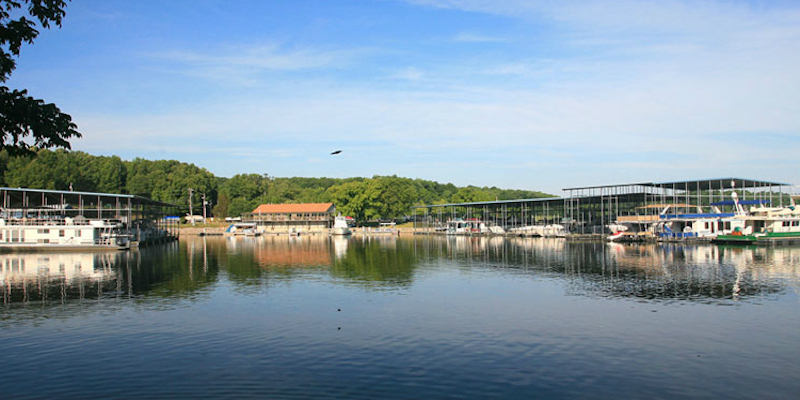 Eddy Creek Resort is located near the north end of the lake only ten miles from the canal that connects Lake Barkley and Kentucky Lake. These two famous lakes offer over 150,000 acres of water and miles of gorgeous shoreline for boating, fishing, hunting, golfing, hiking, camping, shopping, wildlife viewing and relaxing. In close proximity to Land Between the Lakes, a variety of opportunities await including countless outdoor activities such as wildlife observation, historic landmarks and sites, hiking and biking trails, and an elk & bison reserve.